Comment on Stallion Responsive WordPress SEO Theme by Erik. I left a comment earlier today about the desktop version displaying on mobile screens (rather than the responsive version) after I upgraded to the latest edition of WordPress (that comment might still be in moderation). I dug a little deeper and it looks like it’s being caused by the caching plugin I’m using (WP Rocket). The problem appears when I have mobile caching enabled (with the previous version of WordPress I was using, this was not an issue). If I switch mobile caching off in WP Rocket, it serves the correct mobile version on mobile screens. 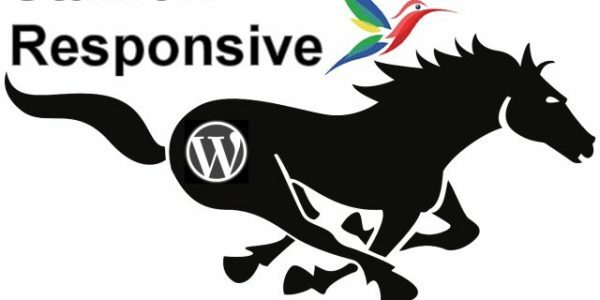 So it sounds like there is something funky with how WP-Rocket is interacting with the latest edition of WordPress. If you have any ideas that come to mind of what might be going on, I’m all ears, but otherwise I’ll check further with the cache plugin guys. Either way, I guess it’s a good lesson for those using cache plugins who might have this issue, to try not only clearing the cache, but also deactivating the plugin altogether (or checking how the mobile cache settings are set up and at least deactivating the individual mobile-related setting(s) to see if that is the problem). Anyway it’s been a little while, but I hope all is going well on your end! And thanks again for the work you continue to put into this theme and its updates, it’s been 6+ years that I’ve been using it now and still happy with how my site(s) run on it. Hey Dave, thanks for the reply. I’m going to forward it on over to the WP Rocket guys, they are already looking into it. I’m running Stallion version 8.2.2 along with Stallion Child Theme 8.0 (I know, I should be updated to the latest Stallion version – 8.4 I believe? – but hadn’t gotten around to it).